Jumbostrap Ltd. is a Big-bag manufacturer spezializing in the production of top quality Baffled, Conductive and UN Approved bags. Our range of big-bags are designed out of flat or circular woven fabric for transporting, handling and storing sensitive granules and powders. Our production area is located in Tallinn, Estonia. 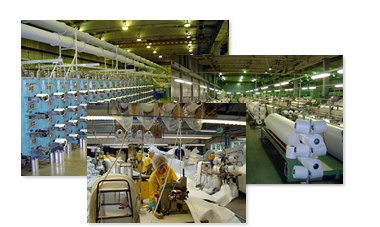 We employ 80 people and our present capacity is 450000 pc of 4-loop big-bags per year. We see our advantage in combination High Quality product and professional service every time. All materials are UV treated to withstand even the most severe enviroments. Bags are tested and certified at internationally acknowledged laboratory.